How to compare LMS platforms to find the best fit for your needs. LMS software is a significant investment for any organization. It can be expensive, time-consuming to implement, and may or may not meet your needs. To ensure you choose the system that’s most likely to be successful, you need to compare different LMS options and get a birds-eye view of which system is most likely to move your organization forward. 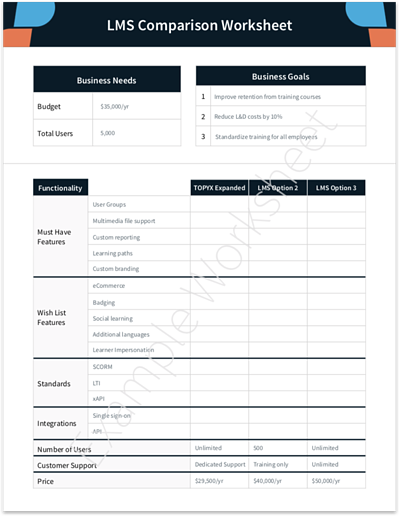 An LMS comparison will help you see which of the LMS options you’re evaluating will fit in your budget, has the features and functionality you need, and is most likely to help you achieve your business goals. 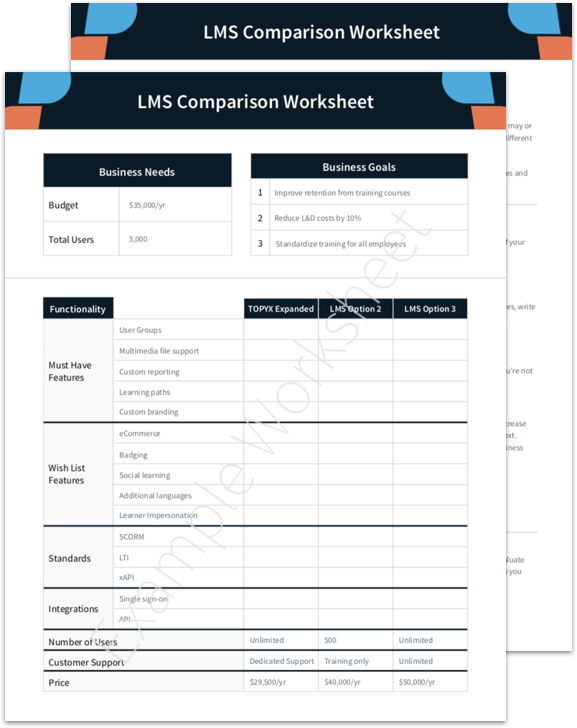 Using the LMS Comparison Worksheet allows you to look at online learning platforms that you are considering side-by-side. This view of each LMS option will show you which system best fits your needs. Stay focused on selecting the best LMS for your organizational needs, budget and learner base. Selecting the right fit allows you to reduce the risk associated with investing in a learning management system.